Whats the best size Filler rod to use for Tig welding? Unfortunately, there is no correct answer. But there are some guidelines. for picking the right Filler rod size. 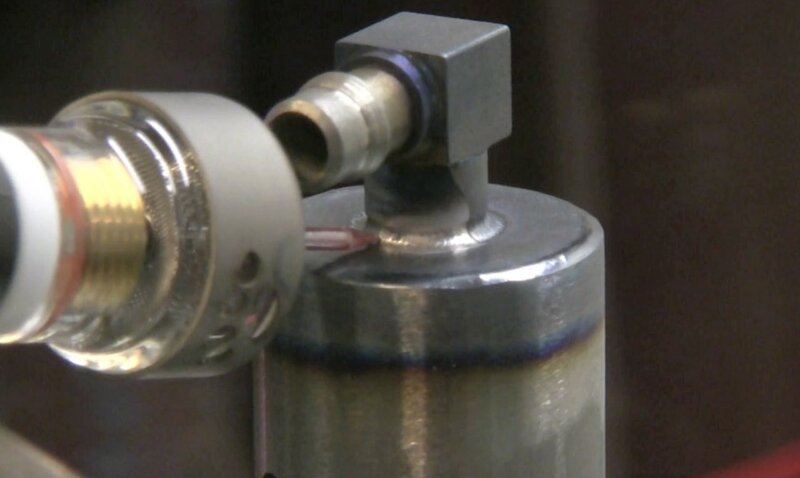 So in this weeks video, I am going over a few tips for filler rod size...and also I am wrapping up a the testing of a new product. The product I am testing out in this video is called the Fupa #12 tig cup and its made by Michael Furick. @mfurick if you are on instagram. I met Michael at fabtech 2014 where he handed me one of his cups. If they dont pass the test, they dont make it to the store. I pay attention when someone posts a great looking weld on instagram. especially when they take the time to list details like filler wire size... or answer questions about the other details they used to make the weld. 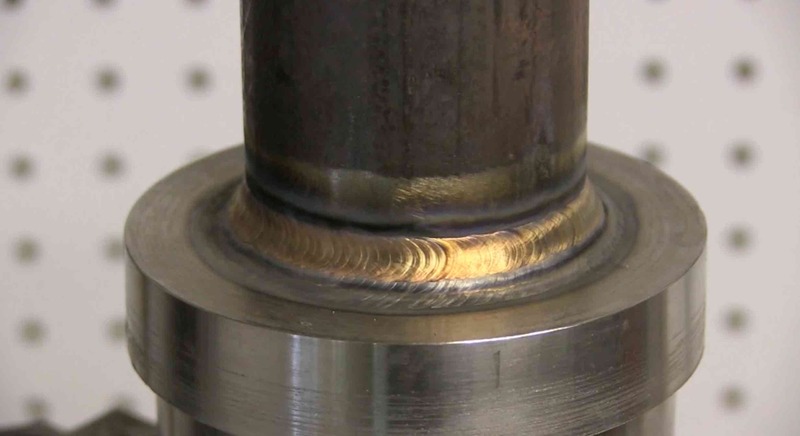 One thing I have noticed is that a lot of the folks making really nice looking tig welds are using relatively small filler wire. At least compared to what I see other folks using on YouTube. for sheet metal thicknesses ( 1/8" (3.2mm) and under) rod size should not be thicker than the metal being welded. generally speaking, using filler metal slightly thinner that what is being welded works best. 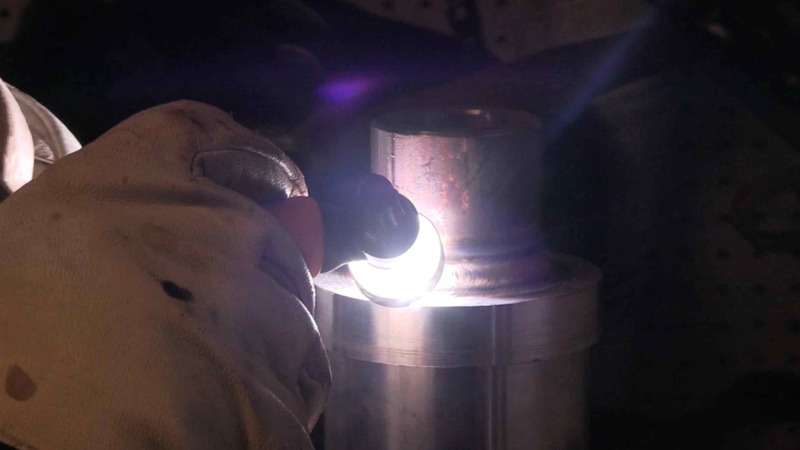 For stainless sheet metal, one size lower than you would use for carbon steel seems to help because typically, less amperage is used on stainless steel than on carbon steel. At low amperage, a large rod chills the puddle a lot and can cause a very irregular bead. For aluminum, the same rule applies to sheet metal roughly. But in my experience, 1/16" (1.6mm) wire can be used for sheet as then as .040" (1mm). For thicker aluminum, sometimes the problem is that the rod balls before it ever reaches the puddle. If that happens , first try a tighter arc and less torch angle....If that does not work, go up one size in filler metal. The fupa 12 cup has some limitations. Its rated for 175 amps...and if you drop it without the titanium cover on it, it will probably break. So I set out to test the Fupa 12 thoroughly by welding at 150-160 amps on a thick chunk of steel that is a mock up of a bearing mount. Using a positioner, I welded each pass non stop and since my positioner was set to around 1 rpm, that made for around 70 seconds by the time I overlapped and tapered amperage. I have been using the Fupa 12 cup for quite a while now, using very long stickouts, and using high amperage. Now its time to add the fupa 12 tig cup to the weldmonger store product line. Sometimes, the job calls for either a tiny diameter tig cup, or a very long stickout. The problem with a really small tig cup is gas coverage. Its usually not very good. But using the fupa 12 cup, and a one inch stickout, lets you get in some pretty tight areas and still maintain good argon shielding.